3. 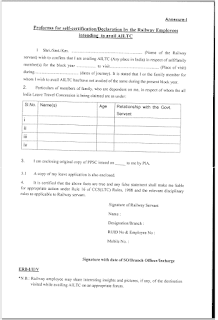 I am enclosing original copy of PPSC issued on................................................... to me by PIA. 3.1 A copy of my leave application is also enclosed. 4. 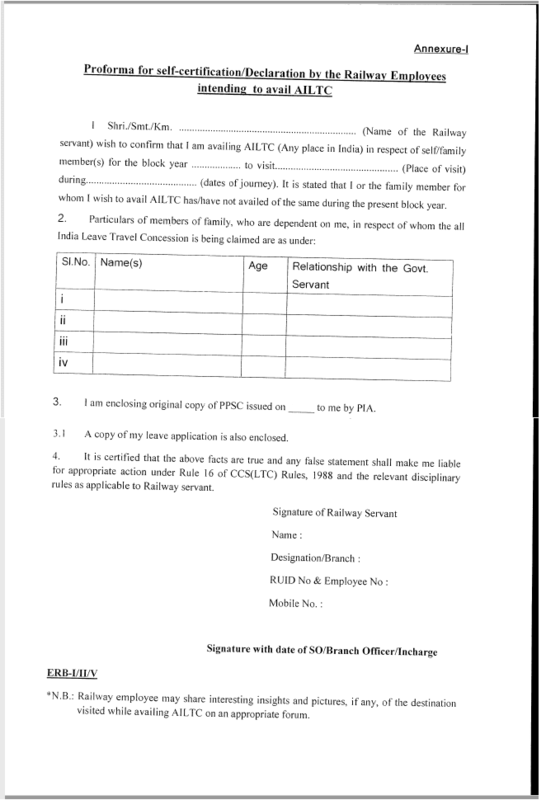 It is certified that the above facts are true and any false statement shall make me liable for appropriate action under Rule 16 of CCS (LTC) Rules, 1988 and the relevant disciplinary rules as applicable to Railway servant. *N.B: Railway employee may share interesting insights and pictures, if any, of the destination visited while availing AILTC on an appropriate forum.